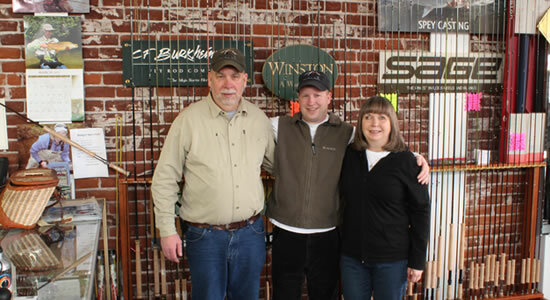 Established in 1992, the Gorge Fly Shop is a full service company dedicated to providing the best customer service possible. The Gorge Fly Shop is located in the small town of Hood River, Oregon. Hood River is in the heart of Oregon and Washington's Columbia River Gorge. Fly fishers will be amazed by the variety of world-class fly fishing found so close to Hood River. On our site you will find an online catalog stuffed with some of the best equipment from the best manufacturers money can buy. Nestled within the valleys of the Cascade Mountains you will find numerous rivers and lakes to try your skills at the sport of fly fishing, targeting: steelhead, salmon, trout, and smallmouth bass. Less than an hour away is the famous Deschutes River, known as one of the best summer steelhead streams in the west. The Deschutes is also home to an amazing strain of red band rainbow that has called this river home for thousands of years. Along with some of the best equipment, we offer free shipping within the United States on orders over $50, and shipping credits for international customers. Remember, Oregon has no sales tax. Service is our main priority; most items are shipped the same day. Visit our brick and mortar store in Downtown Hood River, Oregon.